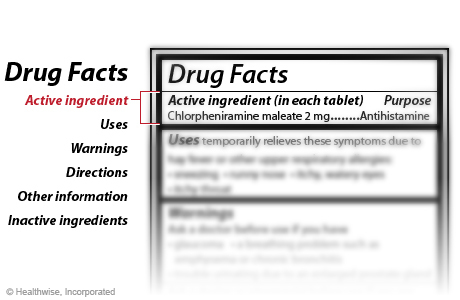 Information about over-the-counter drugs can be found on labels attached to the product. 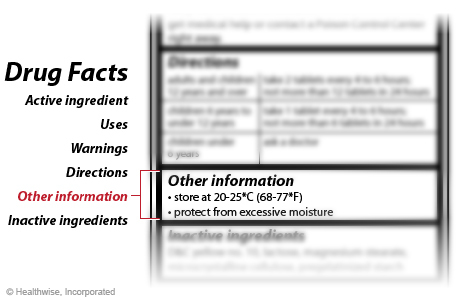 Sometimes there is more information on or inside the product packaging. An ACTIVE INGREDIENT is the part of the medicine that affects your body in a particular way. If the medicine is a sleeping aid, the active ingredient is what makes you sleepy. If it is a cream for rashes, the active ingredient is what helps relieve the symptoms. A product can have more than one active ingredient. "Generic" medicines have the same amount of the same active ingredients as more expensive brand-name medicines, and they work just as well. 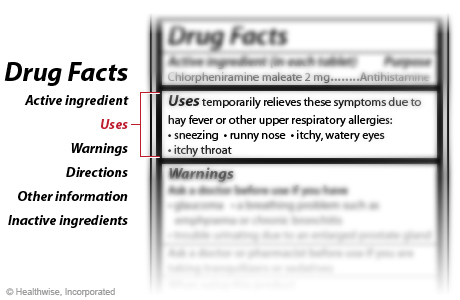 The USES section explains what the product is used for, as well as the symptoms it's approved to treat. 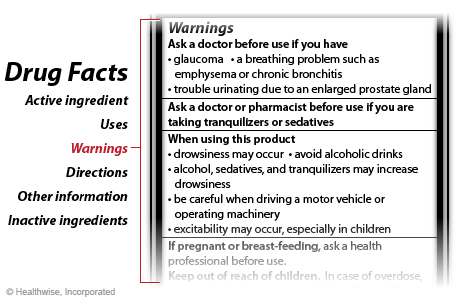 The WARNINGS section tells you what to be aware of before using this product, including what substances or activities to avoid, possible side effects, and what to do if you're pregnant or breastfeeding. 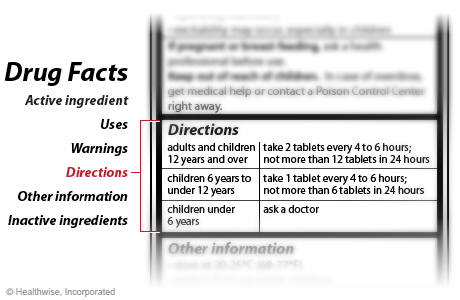 The DIRECTIONS show the recommended dosage of the product. This includes both how much to take and how often to take it. The OTHER INFORMATION section explains how to store the product. It may also remind you to use the product by the expiration date (located on the package, or on the side or bottom of the medicine bottle). 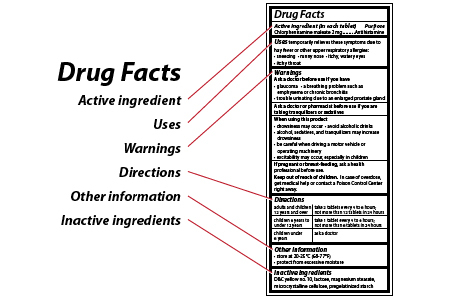 INACTIVE INGREDIENTS in medicine are the parts that have no effect on your body at the amounts used. 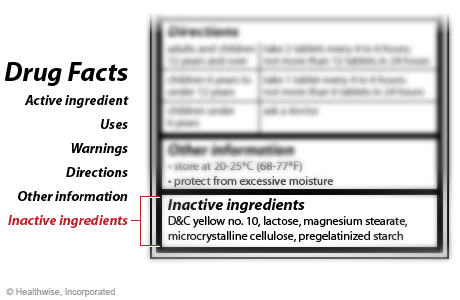 Inactive ingredients may help preserve the product, affect its colour, or put the active ingredient into a shape or consistency that's safe, effective, and easy for you to take or use.